A little girl would prance around her room, wearing her bright, sparkly blue princess dress, a glimmering plastic tiara with a twinkle star wand in hand, dreaming of the days that one day she would be a princess. This little girl is all of us, we all long for the days coveted in elegant gowns, diamonds upon diamonds, and a castle fit for a beautiful princess and her handsome prince. 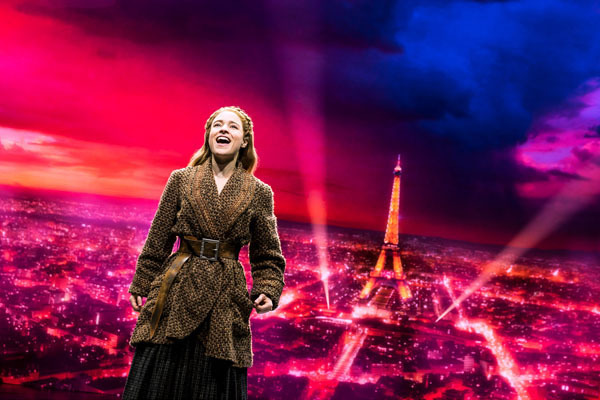 Director Darko Tresnjak provided a beautiful picture of every little girls dream with his astounding Broadway show Anastasia. Inspired by 20th Century Fox’s 1997 animated film and the 1956 movie, Tresnjak brilliantly executed a fairy tale of a musical by pleasing the kids with the ‘Disneyesque’ feel, satisfying the sentimental adults, who obtain knowledge of the Romanoff’s history and provided comfort to the tradition of musical comedy. The story of a girl with an identity crisis, a man who never learned to trust and an array of comical characters provided 2 hours and 25 minutes of entertainment, adventure and a rollercoaster of emotions. 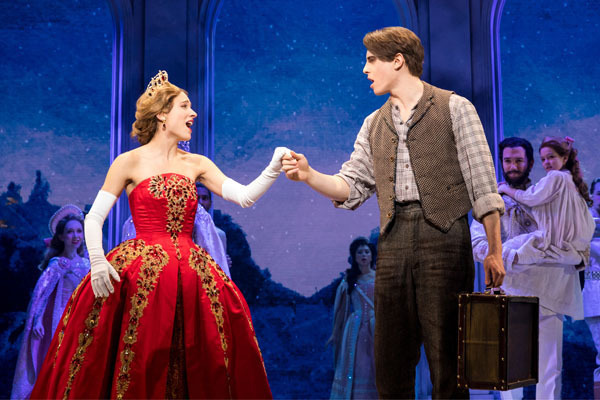 Anya, played by the talented Christy Altomare adopted the character with such passion and pride; the audience was fooled, and distracted by her warmth and incredible voice. 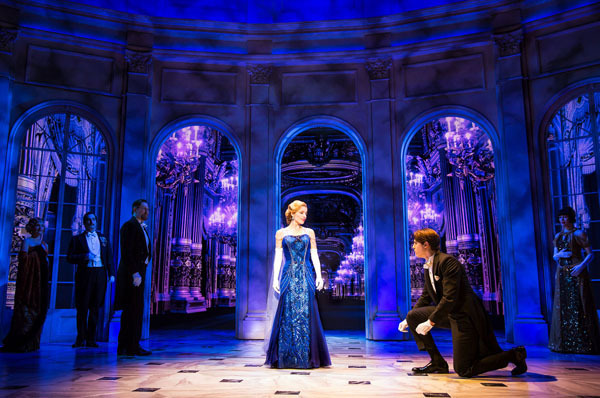 Paired with the handsome Derek Klena, who plays Dmitry, a con man with a total disregard for anything but monetary value, the two invite an unspoken chemistry throughout their journey from Russia to France. 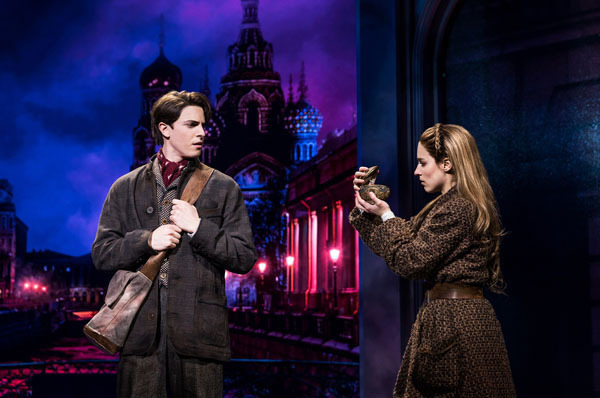 Accompanied by the very amusing Vlad, played by John Bolton, the three embark on a quest to convince the only remaining grandmother, that Anya is her long lost grand daughter Anastasia. Tresnjak proves that even the most cliché story with a romantic young couple, a villain in pursuit and a supporting of comic characters can be an irresistible show, when combined with taste, craftsmanship and a willing moratorium of incredulity. 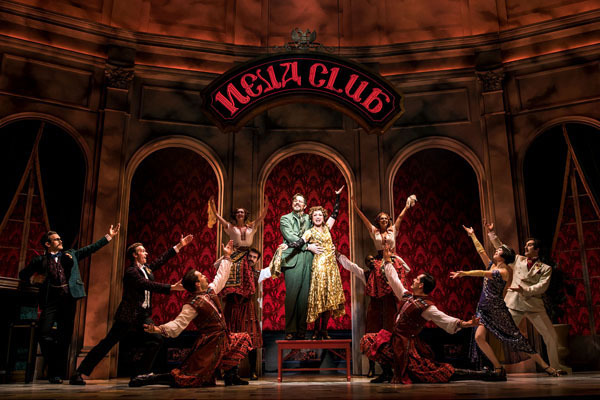 Spectators were dazzled with bright lights that occupied their irises, spectacular props, choreography and feel of an old fashioned musical living in bliss. We were taken back by the theatrics, the projections on the wall and the sound that filled the entire room leaving no corner still. 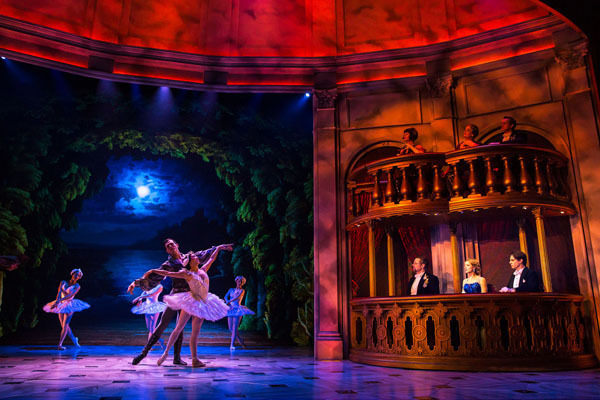 Anastasia filled our hearts with love and courage, and concluded our princess dreams, to create an unforgettable experience, perfect for families or adorned fans of the historical anecdote.